It’s a chance to step back in time while also appreciating what it holds for the future. That’s the way Zeeland Historical Society members are casting a Saturday, Feb. 18, reception and open house that welcomes the public to view the renovated New Groningen Schoolhouse, 10537 Paw Paw Drive, near the Holland Fish and Game Club. The free “President’s Day at the School House” event will be 11 a.m.-3 p.m. and features refreshments and tours. A book sale will include works offered by local historian Randy VandeWater and Antonette Wildschut, and some historical calendars and souvenirs. A pair of project donor receptions in December and January have been among the first activities in the building that features a working 30-seat classroom that had previously been featured at the Dekker Huis museum in downtown Zeeland. Although some school classes have visited the facility, the Feb. 18 event will be the first time the schoolhouse is open for a public event. “We will be playing a video showing the construction project and if people want to take pictures of children sitting in one of the desks, they will be able to do that,” said historical society founder and member Dorothy Voss. In addition to seeing the Veneklasen schoolroom, visitors will be able to view the Schoemaker Room, a meeting and gathering area that can be serviced by an adjacent kitchen and is available on a rental basis for business, community and family events. “People are welcome to come to use it as an asset,” said Voss, who noted the facility is already starting to receive income as reservations are made for private parties, including a graduation event already scheduled. The historical society purchased the building in 2006 for $150,000 and more than $350,000 was spent on the renovations, all being funded through donations. The 3,000-square-foot schoolhouse dates back to 1881 when it was used as a rural education facility for residents in the Zeeland-Holland Township area. It served that purpose for more than 70 years before closing in 1952. At that time the area became part of the Zeeland school district. Visitors also will be able to enjoy a major feature of the building — the re-installed original working school bell that had reportedly been purchased at auction by the Nelson Sterken family when the school ceased operation. The 500-pound bell was donated to the historical society for the restoration project. The installation includes a bell-ringing rope that can be manipulated by all ages in a side room near the main classroom. 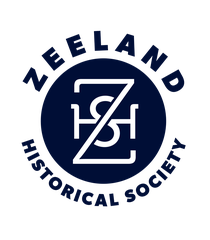 In December, the Zeeland Chamber of Commerce presented the historical society with a Community Image Award for its five-year project that restored the former New Groningen School House.